Cost: De cursus kost 80 euro voor de vier lessen of 25 euro per losse les. Mediterranean Folk Ensemble–>>> Dance workshop La Tammurriata,Traditional Greek Music, Cimbalon Delights & More!!! Italian folk dance workshop ( La Tammurriata ), BABBOO live concert, food, jam session.....and more!!!! Social Sunday in Kolenkitbuurt –>> Tammurriata Dance Workshop, Food, Bioenergetic Session and more !!!!! 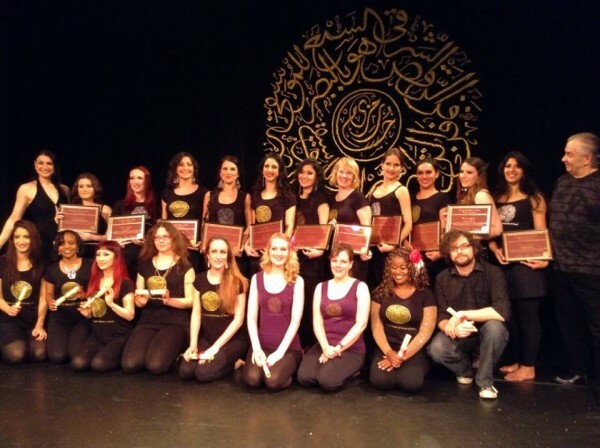 Mediterranean Folk Ensemble, a musical journey across southern Europe and northern Africa”, a music & dance project, under the artistic direction of Isabella Ruggiero certified advanced dancer, choreographer & event promoter…. Give yourself the chance to release bodily and emotional tensions located in the pelvic area. 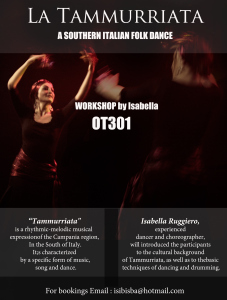 ‘Mediterranean Folk Ensemble, a musical journey across southern Europe and northern Africa”, a music & dance project, under the artistic direction of Isabella Ruggiero certified advanced dancer, choreographer & event promoter…. 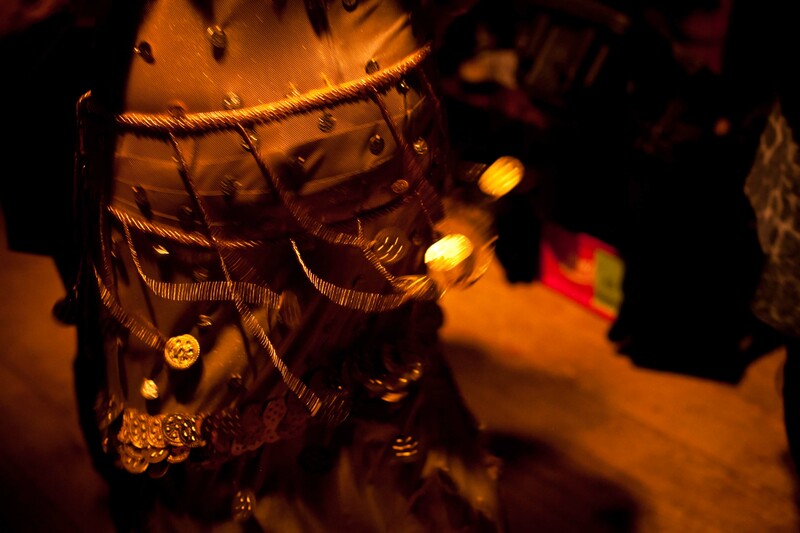 Within the monthly appointment WonderDay Night, Isabella Ruggiero of Danzeasud will perform a piece of Oriental Dance. Belly dancing new season starts !!! TUESDAY & THURSDAY For time, locations and prices check: http://www.danzeasud.nl/courses-workshops/ LOOK FORWARD TO DANCING TOGHETER!!! Stay tuned to September appointments with the Oriental belly dance and the Italian folk music & dance. A full day dedicated to Art. DANZEASUD is very pleased to present: ANTHROPOLOGIST DR.VALERIO RICCIARDELLI ARTISTIC RESIDENCE Anthropologist and musician Valerio Ricciardelli (1/10/1964, Montoro Inferiore/Avellino/Italy ) will be hosted in Holland for a short artistic residence…. Antarctica cultural centre hosts the anthropologist Dr.Valerio Ricciardelli artistic residence CINEMA EVENING DUBBELEDOCU: NAPOLI IN BEELDEN Documentaries about Napoli. Debate and musical acts by DR.RICCIARDELLI Location: Antarctica (Amundsenweg 1, Amsterdam)…. In het weekend van 20 en 21 april bruist de Meervaart van het jonge talent. Van de allerkleinsten tot ambitieuze twintigers, ze presenteren allemaal hun dans, muziek, film of theaterstuk…. Mediterranean music ensembles is a projects builded up by isabella Ruggiero, during the last few years, in order to bring together musicians and dancers from different parts of the Mediterranean….